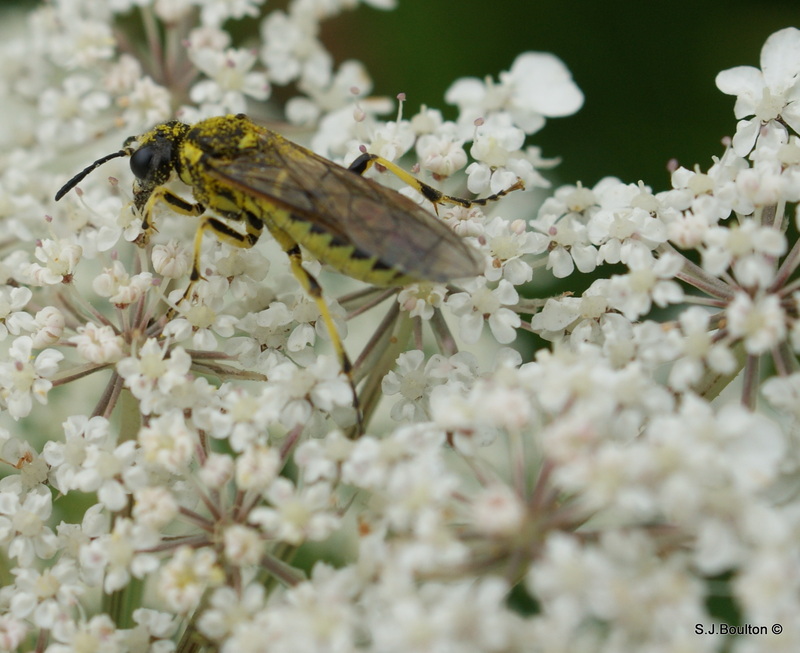 There is not enough to ID exactly which Stem boring sawfly this is. Sadly not much information on this. 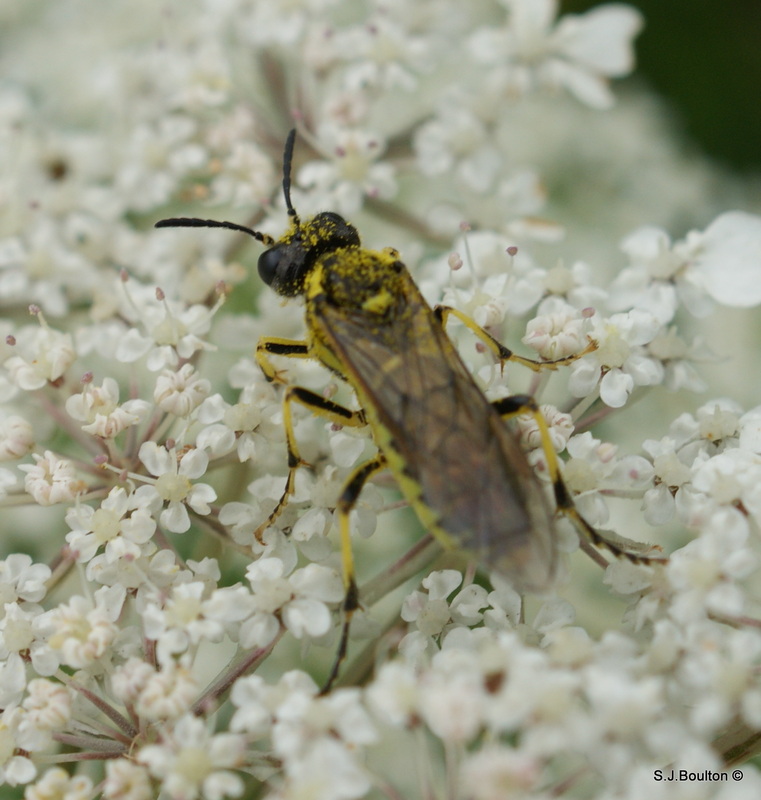 A large lemon-yellow and black sawfly. Very similar to T. arcuata and T. brevicornis. 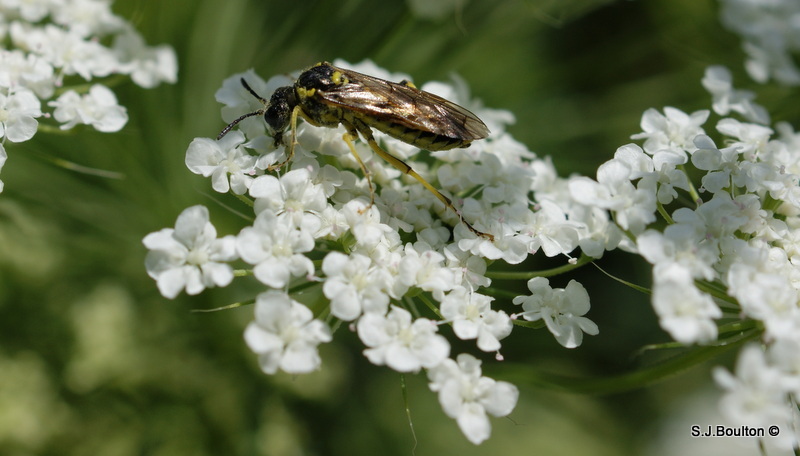 The species are very difficult to separate without detailed examination. Where the image has not received expert verification, which is necessary to be certain of accuracy in this species, it is highlighted with a red box. For that reason it is only claimed as likely to be this species. 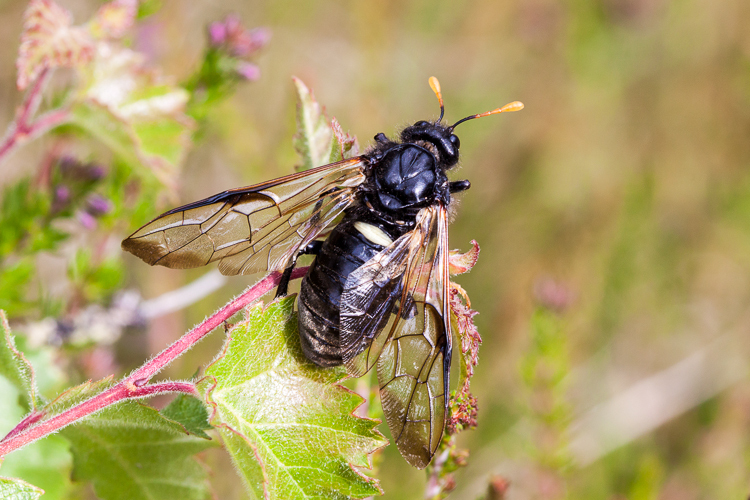 Images taken at the end of August would suggest that the species is unlikely to be T. arcuata which flies quite early. The larvae of T. notha are associated with clover species. 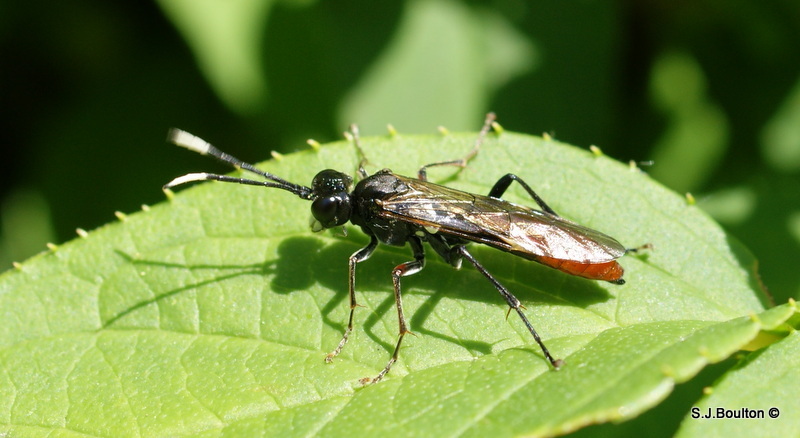 This sawfly has a conspicuous white mouth and white tips to its antennae. It is really variable in colour, sometimes all black, but other forms with varying amounts of red. 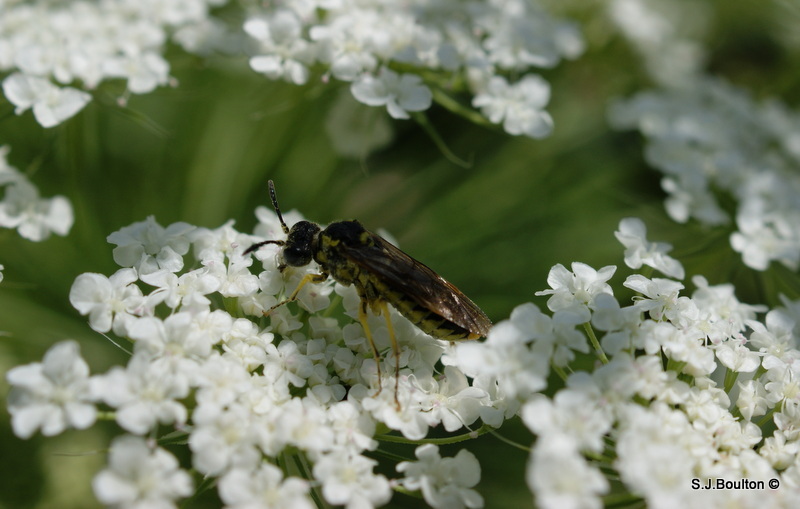 The white marked antennae together with the white and brown stigma in the forewing are distinctive and help with the identification. The larvae are nocturnal grazers, feeding on a variety of leaves, such as Hazel, Willow and Honeysuckle.